This year’s most awaited James Bond 007 movie is coming to cinemas this November, and PMCM Events Management and WhenInManila.com together with Resorts World Manila brings you this special movie blocked screening of SPECTRE on November 07, 2015, Saturday at 5:00pm in Newport World Cinema 3. SPECTRE, which stars Daniel Craig, Monica Bellucci, Lea Seydoux, Christoph Waltz, Ralph Fiennes, Ben Whishaw and Naomie Harris, is another adventure packed movie produced and distributed by Columbia Pictures. 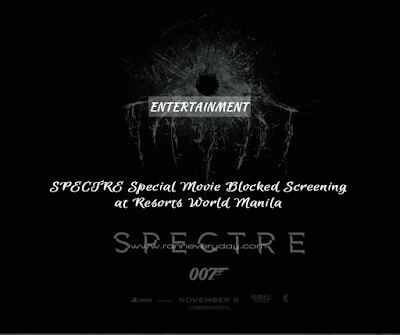 According to the original creator of the James Bond Series, Ian Fleming, SPECTRE stands for “Special Executive for Terrorism, Revenge and Extortion”. 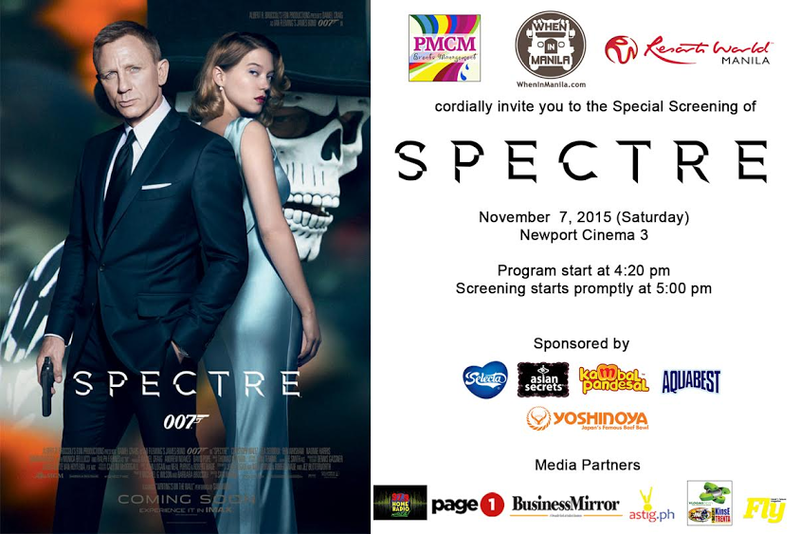 In this movie, 007 discovers dirty facts of SPECTRE while its leader Franz Oberhauser hunts him down to death.